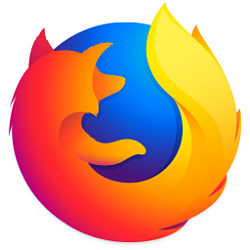 If you leave Firefox open when Windows shuts down or restarts, Firefox may automatically re-open with your previously opened tabs the next time you start Windows. This tutorial will show you how to enable or disable Firefox automatically reopening after a shutdown or restart for your account in Windows 7, Windows 8, and Windows 10. 5. You can now close this about:config tab if you like. The ability for Windows 10 to reopen any app capable of registering for a restart if it left open at a restart or shut down was first introduced in the Fall Creators Update 1709. At that time Firefox was not capable of registering for a restart, but now has that capability. This tutorial tells you how to turn off (or on) that registration in Firefox. But other apps, such as MS Office or IE11 will still restart if left open when you close down. The ability to turn off the Windows 10 function of reopening all such apps (not just Firefox) was introduced in the April 2018 Update 1803. Starting with Windows 10 build 17040: Based on your feedback, the feature to restore applications that have registered for application restart after you reboot or shutdown (through power options available on the Start Menu and various other locations) has been set to only occur for users that have enabled “Use my sign-in info to automatically finish setting my device after an update or restart” in the Privacy section under Sign-in Options Settings.